Latest updates on August 7, 2017: Tower 20 of Mutianyu is blocked by Mutianyu Great Wall office on the April 4th, while our guide came back from Jiankou and claimed that it’s possible to climb over the newly constructed wall at tower 20 of Mutianyu by far. 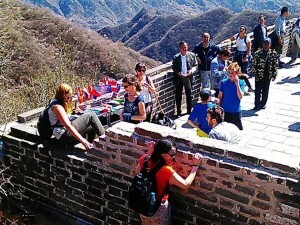 In that case, going to Jiankou & Mutianyu is doable if climbing over the Wall (around 1 meter in height) works for you. 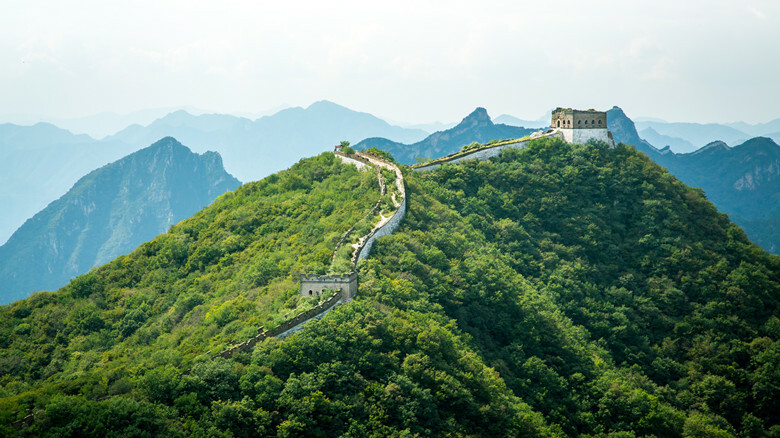 You will be collected from your accommodation at 7.30am or you could choose the best time for you for a wonderful day out to Jiankou and Mutianyu. The adventure begins at Xizhazi village–587m /1926ft above sea level. Once you leave the village, the hike is a decent uphill to reach the ruined tower-Zhengbeilou–830m / 2723ft above sea level. 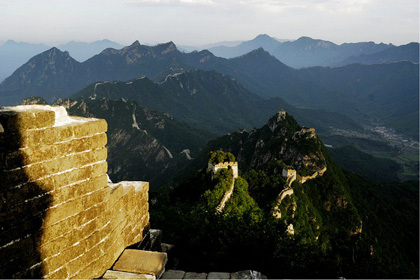 On the half way to Zhengbeikou, you will capture the best scenery /landscape views of Jiankou. Take your time and enjoy views. After passing through many towers along the way, you’ll reach Ox Horn Edge–a dangerous section as it looks like ox horn in shape – 1011m / 3317ft above sea level. From there take a forest detour past a campsite in the bush, with tracks to walk through and gives you the feel of being close to nature. Going through the bush takes about 10 minutes then you will walk on Jiankou again. From there it’s a short walk to the fully restored Mutianyu. 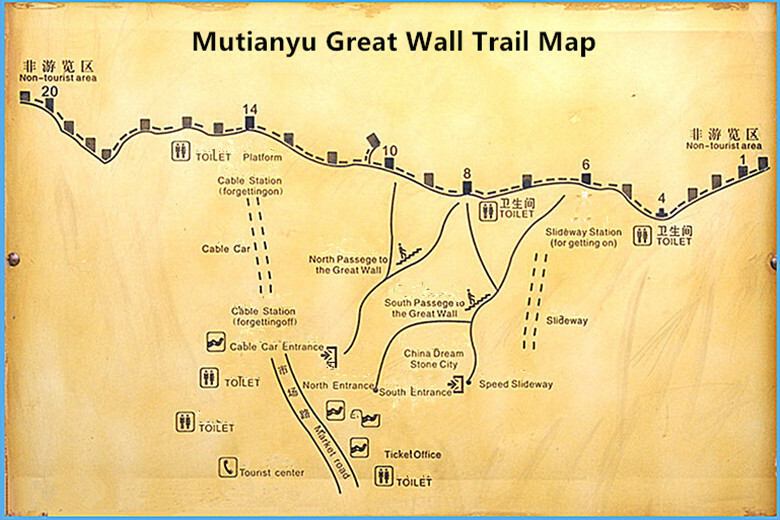 Mutianyu also features a summer toboggan run: open hour: 8am-5pm in summer, situated on tower 6. The toboggan run goes down a series of zigzag bends, with an altitude difference of 100m / 328ft. 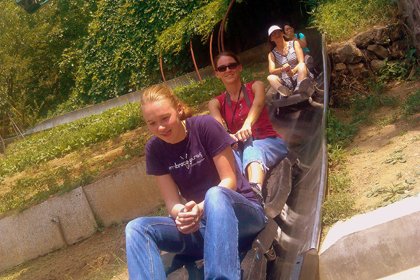 The toboggan ride can be as fast as you want or as slow as you want with a hilarious experience. Mutianyu toboggan ride price is 60RMB during tourist season. When ending up at tower 14 of Mutianyu, there are three options: (1) sit back and let the cable car take you down to the exit from tower 14, usually takes about 8 minutes; (2) walk down from tower 14 to 10 where you can get off Mutianyu then walk down the hill trail to reach the exit, usually takes 1.5 hours; (3)continue walking until reach tower 6 then go down by toboggan /lift chair. As the track is very easy to follow, if you choose option 3, your guide will meet you at the exit of toboggan /lift chair so you can enjoy the additional hike on your own. You will enjoy a tasty lunch then head back to Beijing. 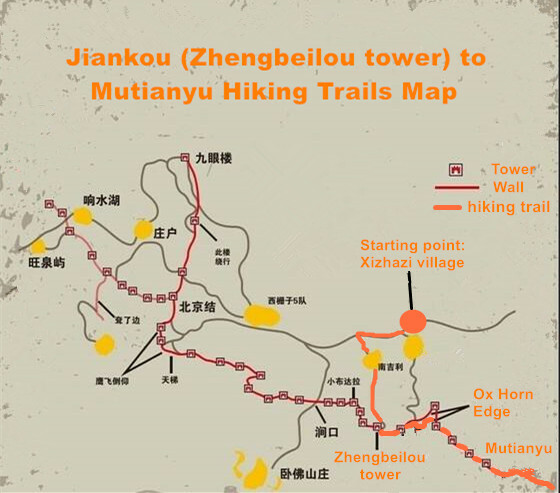 Jiankou hiking plus Mutianyu toboggan ride takes 3- 5 hours and covers 6 miles/10 km. 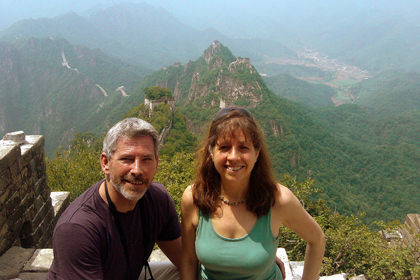 This hike offers a glorious opportunity to see the Great Wall at its best. The physical nature of the hike adds to the sense of exploration and adventure. Interested in this tour, any questions? The quickest way to find answers to your questions is to review the most frequently asked questions, and check the hiking tips. If you can’t find the information you are looking for please feel free to contact us. Did you know? From Mutianyu, you can visit Ming Tomb (approx. 1 hour’s drive) or Summer Palace (approx. 1.5 hour’s drive) if departing at 7AM from Beijing works for you. (Best time to visit: April – October.) You are welcome to contact us by filling the form online. We will offer you a most suitable tailor-made itinerary with the best price. Beijing is not cheap. If you travel on a budget, or if you ‘d like the freedom, flexibility and adventure of walk on your own, and don’t like to be restricted to particular travel dates, you can choose semi self-guided version of our guided trip- just check the link – we are always happy to run self-guided option for you. Semi self-guided tour costs less than guided tour but still maintain a level of support and convenience that allows you to explore on your own schedule without sweating the logistics. We can keep the price low because you are not paying for a guide and associated costs.